As a Lyft driver or rider you may receive LYFT Rider Referral Signup Bonus, with any new signup through your Lyft promo code. Each driver and rider have their own referral code. Moreover you can find your referral code in Lyft app. In fact as a driver if you refer new rider to Lyft you will receive $10. Although previously Lyft rider referral signup bonus was $20 in Toronto GTA. Moreover, rider will still get $20 signup credit. Making extra money through LYFT Rider Referral Signup Bonus is one of the easy way to make huge bonus amount. You can distribute you code among your family, friends and social network. More refer more bonus you will get. With you referral code any new rider who join Lyft is entitle to receive $20 signup bonus. Moreover currently Lyft is offering extra credit amount in Toronto. In fact rider may get $50 or $100 credit towards next 20 trips. In order to receive rider referral bonus. First rider must signup through your referral code. Second it must be new account activation. Once the apply thought your referral code, you can see in your account dashboard, in passenger referral, no of applications. Next step is activation, activation mean when riders take their first trip. Once they take his first trip, their Lyft account will be activated, and you will see $10 passenger referral bonus in you weekly earning statement. To track you rider referral history, in Lyft app go to dashboard then navigate to passenger referral. In your rider invite history, you can check no referral current payout, last week and last 30 days. There are different ways that you can share you referral code. First of all you have to login to lyft account and create custom code. Because your original referral code from Lyft might be not easy to remember. Therefore you will create something easy to remember, so when you give it to someone they will remember too. In my case I have created TORONTORIDESHARE and TORONTO120. In the above pictures you can see "Create a Custom Referral Code", Type your referral code and click create. If nobody have created it before you will get that code. It will be your referral code, you can also refer drivers with the same code. Once You have your custom created code. There are different options, rider can enter your code in Lyft app or you send them link. All you have to do is to put your code in the end of link. You will replace my code Toronto120 with your custom code. Moreover you may test your referral link, when you click on that it should redirect to Lyft website. You will see your name and referral bonus amount to new rider. If you link display similar windows as above picture, its mean you link is valid and working. As a Lyft driver making some extra though rider referral bonus is good practice. 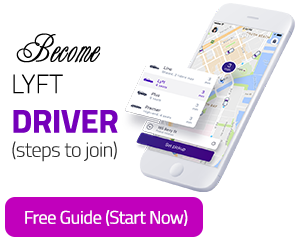 Besides rider referral you can earn through Driver Referral Bonus, Lyft Prime Time, Lyft Power Zones and Lyft Streak Bonus. Moreover Tips for Lyft Drivers Toronto and Maximize Lyft Earnings Toronto are also important.